Main Category: Commercial Fun Food Equipment & Supplies | Color: Green | Hayes Specialties Corp.
Hawaii's Finest Shave Ice/Sno-Kone Flavor Concentrate. Want to shave off a few dollars from your overhead? Make your own syrups Since 1936, these concentrate flavor mixes have been midway favorites, yielding the best quality at the lowest possible cost. One 32-oz. bottle plus sugar makes 8 gallons of ready-to-use syrup. Lime flavor. 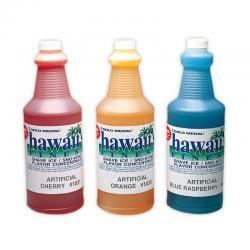 Hawaii's Finest Shave Ice/Sno-Kone Flavor Concentrate. Want to shave off a few dollars from your overhead? Make your own syrups Since 1936, these concentrate flavor mixes have been midway favorites, yielding the best quality at the lowest possible cost. One 32-oz. bottle plus sugar makes 8 gallons of ready-to-use syrup. Green apple flavor. Candy glaze flavors with color. Turn your regular corn into a candy-coated sensation. Approximately 15 batches per jar. 20 ounces. Green apple flavor. 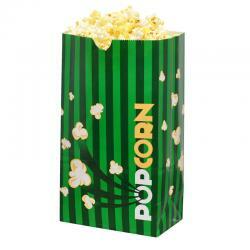 Color your popcorn with Color-Pop Salt instead of plain salt. 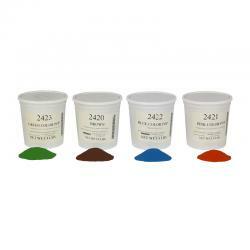 Try changing the color for a holiday or create school colors for athletic events. Some require use of white oil. Color-Pop will tint the corn not a dark coating like candy coated. Each tub measures 4 pounds. Green Color. 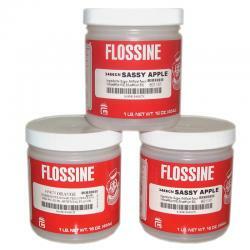 For the most tantalizing aroma, best flavor and classic cotton candy look, this is the secret ingredient the professionals count on Simply mix up to two tablespoons of Flossine to every 10 lb. of your regular granulated sugar. 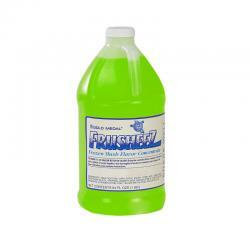 Used without cornstarch, it's guarenteed not to clog your machine's ribbon heating elements. 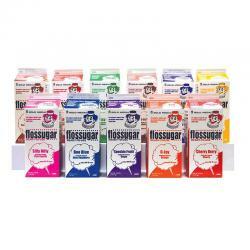 Color change recommended everytime floss head is filled. Green apple flavor. - One pound jar with 12 jars per case.